Model DDSY833 single phase electronic prepayment front board installed active energy meter is a kind of single phase two..
Model DTSY833 three phase four wire electronic prepayment front board installed active energy meter is a kind of three p..
DD833 Series Long Life Energy Meter..
DT833 Series Three Phase long Life Energy Meter..
Model DEM351PB single phase three wire electronic socket installed active energy meter is a kind of new style single pha..
Model DEM352 single phase electronic socket installed active energy meter is a kind of new style portable socket install..
Panel meter is one kind of electric measure indicator with the direct effection of imitate display. It is suitable for A..
Digital panel meter have AC/DC digital voltage, Ampere, Power Factor, Digital panel, Frequency meter. It is new digital .. 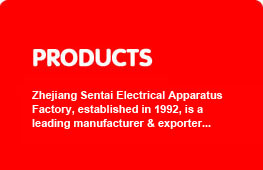 The series of current transformers can be applie to test, control, display and record the running of the electrical equi..